Born, brewed and served in New Delhi, Mad King beer is a craft brew brand that currently has two kinds on offer -- Dúfa and Kólga. And we're of the opinion that they're not for chugging! Brewing to perfection in New Delhi, Mad King is a craft beer company that has started making two kinds of beer - a wheat beer and a larger. 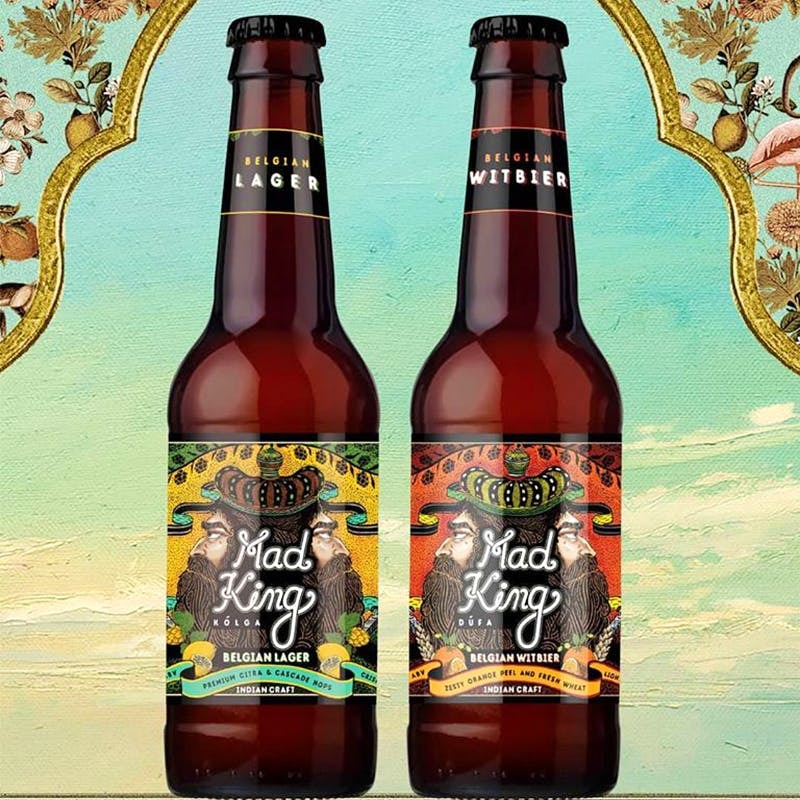 Named Kòlga and Düfa, royal princesses to the Mad King, of course, the first born is the tropical lager and the second, a redone version of the classic Belgian Witbier. While the larger is quite hoppy, and has a citrusy hint to it, the witbier has a refreshing hit of orange. The Mad King himself suggests you take you time sipping and savouring this one, and we tend to agree because these beers are simply #TooFineToChug. It's currently only available in the capital, but that doesn't mean you can't ask everyone coming from Delhi to bring you some in their suitcase. Especially if you live in Bangalore. That city runs on coffee and beer!